Skunk2 – New Drive-By-Wire Pro Series Throttle Body! 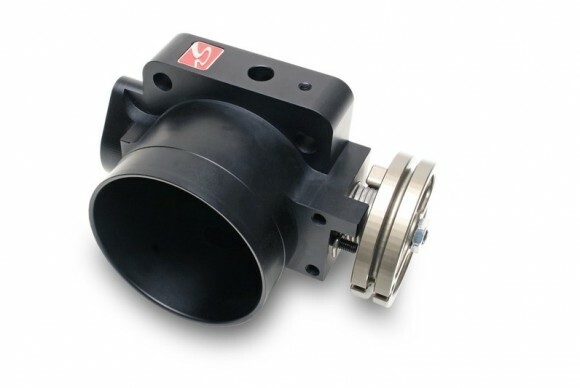 Skunk2 is proud to introduce the first-ever, CNC-machined, big-bore drive-by-wire throttle body, debuting exclusively for ’06-’10 Honda Civic Si owners late-Spring, 2010, with other applications to follow. No other throttle body manufacturer (import or domestic) has been able to crack the drive-by-wire code. Until now, drive-by-wire tuners have been forced to rely on boring their OEM throttle bodies, which allows for only minimal airflow improvements. Skunk2’s unique electronic drive system—the first of its kind—is paired with the finest throttle body technology in the industry. Like all Skunk2 Pro Series Throttle Bodies, its new drive-by-wire units feature CNC-machined, 6061 aluminum construction, and will debut featuring a 74mm inlet and 70mm outlet in both hard-anodized and Black Series finishes. Each Pro Series Throttle Body features proprietary internals that, when matched with the factory sensors, allow for increased airflow but without sacrificing any of the smooth throttle characteristics Honda owners expect. A larger throttle body is key to producing additional power throughout the powerband on modified engines with increased airflow demands. Skunk2’s all-new, Pro Series Throttle Bodies for drive-by-wire K-series engines feature a large bore, which results in significant horsepower gains throughout the powerband on naturally aspirated applications and even more on forced induction ones. Skunk2 is proud to introduce its all-new, 74mm Pro Series Throttle Body for Honda’s K-series engines—the biggest K-series throttle body you can buy. Skunk2’s Pro Series Throttle Bodies are designed to be used with OEM Acura RSX (PRB) or Skunk2 Pro Series Intake Manifolds for bolt-on horsepower and torque gains by optimizing engine airflow (other applications, including ’06+ Civic Si RBC manifolds, require adapter plate). Skunk2 throttle bodies undergo an extensive design and testing process to produce a unit that doesn’t just provide more flow, but retains smooth drivability and OEM throttle characteristics. Skunk2’s Pro Series Throttle Bodies are designed using the latest CAE (Computer Aided Engineering) tools to produce a unit that exceeds industry standards. 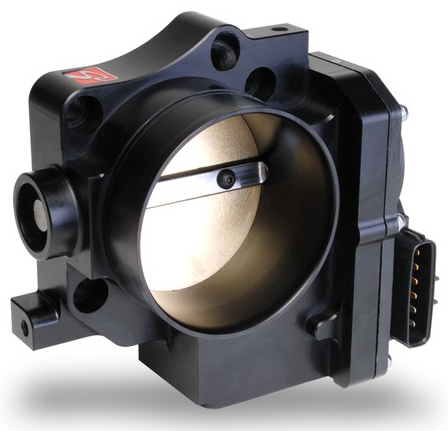 Each Pro Series Throttle Body is CNC-machined from forged, billet 6061-T6 aluminum and hard anodized for durability in Skunk2’s signature Black Series finish. Additionally, Skunk2’s unique K-series throttle pulley design allows for smooth movement and pedal modulation, and the OEM coolant hoses have been eliminated for cooler operation. A larger throttle body is key to producing additional power throughout the powerband on modified engines with increased airflow demands. Skunk2’s Pro Series Throttle Bodies feature a 74mm bore, which results in significant horsepower gains throughout the powerband on naturally aspirated applications and even more on forced induction ones.